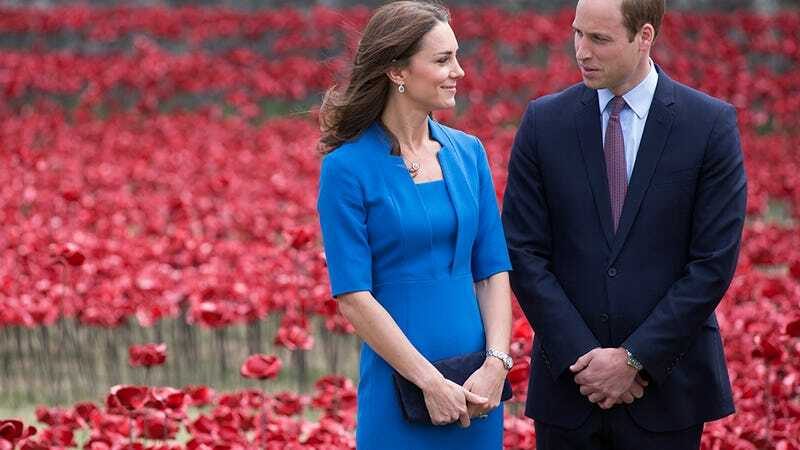 Kate Middleton and Prince William are expecting their second child. Put in appropriately enthusiastic terms: THERE'S A SECOND ROYAL BABY ON THE WAY!!!!!! Per an official Facebook post from The British Monarchy: "Their Royal Highnesses The Duke and Duchess of Cambridge are very pleased to announce that The Duchess of Cambridge is expecting their second child." The British Monarchy also adds that "the Queen and members of both families are delighted with the news." Yes, yes, quite.